First, let us go on the record and say that therapy is a financial commitment. It’s a financial investment. And it’s an investment in yourself and your ability to become aware of self-sabotaging patterns and more capable of practicing new, more effective thoughts and behaviors. This – this ability to think and behave more effectively – can profoundly and positively impact your future relationships, your work, your physical health, and even your finances. If you’re like most people we work with here at Evergreen, you’ve likely already invested a lot of time and energy and money into your education, your career, your home, etc.. We truly believe that therapy is a continued investment in your overall well-being and success in life. And yet often the idea of affording therapy – particularly when the therapist you want to work with doesn’t take insurance (like our therapists here at Evergreen) – can dissuade people. We don’t want that to be the case for you, so we wanted to share some little-known tips about how to afford therapy with an out-of-network therapist to make it feel more accessible for you. 1) They value their privacy. Insurance companies can occasionally audit client psychotherapy records to “determine” if a client is eligible for more sessions (among other reasons). Moreover, your psychotherapy records may be accessible to all other clinicians within the same health system that you utilize for your insurance. Meaning that the content or nature of your mental health sessions may be seen by other providers like your in-network OBGYN, podiatrist, etc.. Clients who value their privacy and confidentiality when it comes to their mental health records often will look outside of their insurance network for an out-of-network provider who doesn’t have to provide psychotherapy records upon an audit from an insurer and who has strict confidentiality laws in place to protect your privacy and clinical records from anyone else. 2) They want to avoid a diagnosis on their chart/be in charge of determining the length of their therapy. Similar to above, when utilizing insurance for your mental health care, therapists are required to provide you with a mental health diagnosis which the insurance company then uses to decide how many sessions you’re eligible to have with your therapist. Many clients want to avoid having a mental health diagnosis on their permanent medical records (as this may impact employment opportunities and/or applications for life and disability insurance, etc.) and they like to determine their own length of therapy and not have their therapy be abruptly terminated by their insurer before they feel complete and ready to end therapy. 3) They can’t find anyone they click with. Good therapy will not happen if you don’t feel comfortable and like the therapist you are working with. So some clients find that it’s worth investing in out-of-network therapy because they cannot find a therapist in-network that they just click with, that they really like, and/or who has expertise in the issues they’re wanting to address. Again, if you still want to use your insurance for your therapy, that’s totally fine! But if you’re like many folks who value the above three reasons and you want to work with an out-of-network therapist, we have three tips that may make your investment in this feel easier. Research Your Insurance Plan’s Out-Of-Network Mental Health Benefits: Most insurance companies have what’s known as “Out-of-Network Mental Health Benefits.” Meaning that if you see a therapist who is outside their provider network, they still may reimburse a portion and sometimes all of the cost of your therapy depending on your plan’s benefits. We recommend giving the customer service number on the back of your insurance card a call and asking about what your out-of-network mental health benefits look like. From there, your therapist can provide you with a superbill (an itemized, coded medical receipt) at the end of every month to submit back to your insurance company for reimbursement directly to you. This is something we do for our clients all the time here at Evergreen, and it can help cut down on the out-of-pocket costs of therapy for those who use these benefits. Use Your FSA/HSA/HRA Account: While you should always consult with your employer’s HR department to be sure, therapy is often eligible for reimbursement with flexible spending accounts (FSA), health savings accounts (HSA), and health reimbursement accounts (HRA) that you may have through your employer. So what this means is that you get to set aside pre-tax dollars into your account to pay for eligible medical expenses (therapy being one) and then use that money to fund your therapy. Here at Evergreen, we have a secure credit card system set up that accepts FSA and HSA cards so that our clients can use these accounts much like they would a debit card to pay for their therapy. Paying for treatment by using your pre-tax dollars is something that can help make therapy more accessible. Ask Your Spouse/Parents/Significant Other For Support: This option may not feel right for everyone, but if you really want to work with a therapist who doesn’t take insurance, consider asking your spouse/parents/significant other for support in helping you cover the costs. Talk to them about how you can swing household expenses to cover it, how it could be considered a gift, ask them if they’d be willing to help you invest in yourself in this way. In our experience, most family members and partners want you to get the help you need and deserve and are happy to try and be resources in this way.  We may be biased, but here at Evergreen Counseling, we honestly think that therapy is one of the best and most important investments you can make in yourself. And if you live in the Bay Area and are interested in working with us, we invite you to book a complimentary 15-minute consult call to help you learn more about our therapy services, to ask us questions, and so that we can match you up with a counselor who can best support your unique situation. Finally, regardless of whether you choose to work with us at Evergreen Counseling, or with another therapist in your hometown, we are so proud of you for taking this big step and investing in yourself this way by seeking out therapy. Remember: you are so worth it. PS: Want to download the PDF of this page? Click here. Disclaimer: The information on this page is intended to be educational but is not a substitute for a relationship with a licensed mental health professional.